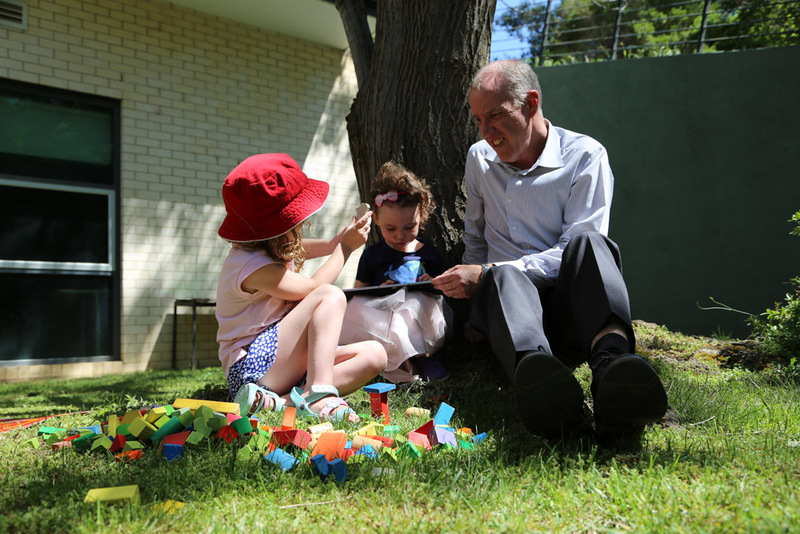 26 March 2018: An innovative, play-based pilot for preschoolers led by researchers at the University of Canberra has been officially launched by the Australian Government. The Early Learning STEM Australia (ELSA) Pilot, run by the University’s STEM Education Research Centre (SERC), gives preschool children an awareness of science, technology, engineering and mathematics (STEM) practices. SERC Director and Centenary Professor of Education Tom Lowrie, who heads the pilot, said that ELSA will encourage children to play, experiment and make sense of the world around them by asking questions and making predictions. “Encouraging preschoolers to have fun and gain familiarity with these underlying practices is key to this exciting initiative,” Professor Lowrie said. “ELSA is building on children’s inquisitive nature, enhancing play with learning opportunities and giving educators the tools to capitalise on these learning opportunities. Professor Lowrie said the ELSA Pilot involves 100 preschool services Australia-wide, more than 300 educators and more than 4,000 preschoolers. “We are creating six digital apps - four are for preschoolers, but we also have an app for educators and one for families. The apps strike a balance between play-based learning and intentional teaching. “In fact, we estimate that about 80 per cent of preschoolers’ engagement with ELSA will be off-app STEM play, and only 20 per cent of children’s experience will be app-based,” he said. Educators play a vital role in the pilot, helping guide the app development and, in turn, gaining new tools to encourage and observe children's STEM thinking. Professor Lowrie said preschool is a prime time to open children’s eyes to the basics of STEM. The first app, which engages children with patterns and relationships, has now launched, along with the app for educators. Subsequent apps will be rolled out to participating preschool services throughout the year.